What an exciting treat for Orlando! We now have a brand new Lilly Pulitzer boutique at the Mall At Millenia. This weekend, they are celebrating their GRAND OPENING with a party & exclusive gifts – go check it out! No matter what your personal style is, Lilly has lots of fun items you can mix into your wardrobe. 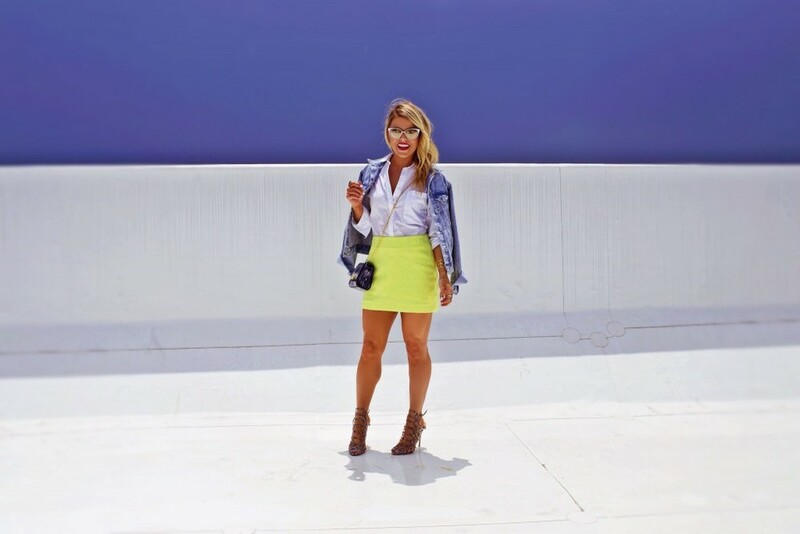 I found this awesome, stand out neon “Tate” skirt which I paired with some of my favorite staple pieces to create the perfect look.